You’re probably as eager as I am for new images of Pluto and Ceres as both New Horizons and Dawn push ever closer to their respective little worlds. Recent photos, of which there are only a few, reveal some wild new features including what appears to a large crater on Pluto. In the end, this apparent large impact might only be a contrast effect or worse, an artifact of over-processing, but there’s no denying its strong resemblance to foreshortened, shadow-filled craters seen on the Moon and other moons. It’s also encouraging that an earlier photo from June 27 shows the same feature. But the “crater” is just so … big! Its size seems disproportionate to the Pluto’s globe and recalls Saturn’s 246-mile-wide moon Mimas with its 81-mile-wide crater Herschel. Astronomers speculate the impact that gouged out Herschel came perilously close to shattering the moon to pieces. If it does turn out to be an crater, Pluto’s surface opposite the impact will likely show many fractures. Not to be outdone, the dwarf planet’s largest moon, Charon, is starting to show a personality of its own with a prominent dark north polar cap. Since polar caps are normally bright, icy features, some have referred to this one as an “anti-polar cap”. Speaking of ice, the bright rim around Pluto in the photo above may be nitrogen frost condensing out of Pluto’s scant atmosphere as it slowly recedes from the Sun. Think how cold it must have to get for nitrogen to freeze out. How about -346° F (-210° C)! 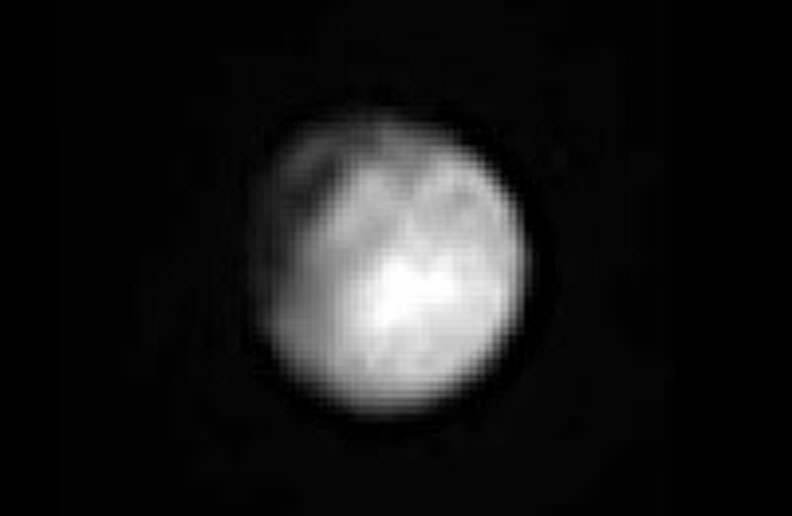 For new images of the Pluto system, be sure to check the New Horizons LORRI gallery page. 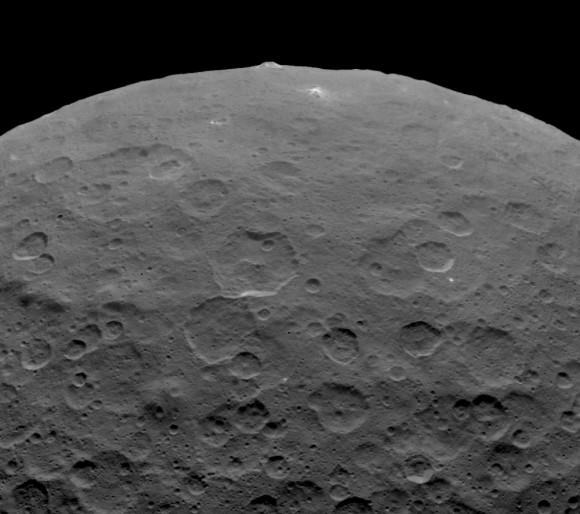 Closer to home, new photos of Ceres show a peculiar, pyramid-shaped mountain towering 3 miles (5 km) high from a relatively smooth region between two large craters. Mountains poking from crater floors aren’t unusual. They’re tossed up after the crust later rebounds after a large impact. What makes this one unusual is the lack of an associated crater. Moreover, the mountain’s pale hue could indicate it’s younger than the surrounding landscape. 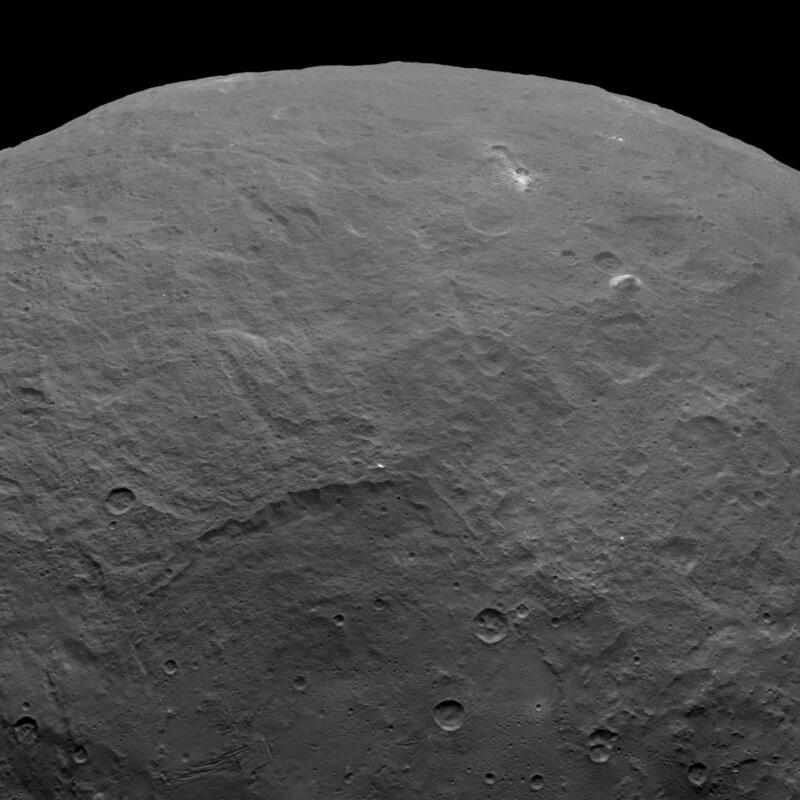 As far as we can tell, it’s the only tall mountain on the face of the dwarf planet. The Dawn team also photographed that cluster of white spots again, this time with a very shot exposure in to eke out more details. What do you think? If you’re as interested in asteroids as I am, Italian astrophysicist Gianluca Masi, a frequent photo contributor to Universe Today, will host a special live Asteroid Day event today starting at 6 p.m. CDT (23:00 UT). Masi will review near-Earth asteroids, explain discovery techniques and observe several in real time. Ahso.. things are getting curiouser and curiouser! In the forth image back, showing “Another more overhead view of the mountain…”, above and to the left is another bright spot which appears associated with a well defined crater. Continuing along a line between the mystery mountain and this bright spot something like a canyon is visible? A series of collapse craters? You noted the striations on that mountain, I’m sure you must have also noticed, in the overhead shot other fault lines running parallel to the mountain’s striations? I wonder if there is a relationship with a giant impact? Could those features indicate impact compression faulting? such as seen on other asteroids and comets? Too early to say? but we’ll know soon enough! Yes, good observation about the fault line. Is it related to the mountain? Maybe. With no associated crater however I wonder if it might not be something similar to a lunar volcanic dome (cryo-dome?) though at 5 km it seems absurdly high for that. Yes.. that translates into 3.1 miles up! or roughly 16,368 feet. The low gravity making that possible? Cryo-dome sounds right, much better than something exotic, like a passing miniature black hole? Absurdly high by earth geologic standards, of course, but in the lower gravity of Ceres not so absurd, perhaps. Olympus Mons on Mars is absurdly high, but it was not constrained by earth-like shifting plate tectonics in its formation, which took place all in one location. Could that giant crater on Pluto have been caused by the impact that created Charon? Fascinating thought. Maybe, but let’s see whether the crater’s real. The pyramid on Ceres is soon to be explained by a new theory which describes how the great pyramids of Giza formed naturally. Maybe by some impact, or volcanism, or sand storms or crystallization or erosion or whatever. If pyramids form naturally on Ceres then they must form naturally on Earth too. Apologies if you’re being satirical in your post (there’s no smilies or other subtle clues to indicate this) – but the Great Pyramids and The Sphynx were definitely not constructed by geological processes. They’re actually made up of thousands of individual blocks of rock that have been expertly crafted by Egyptian stone-masons and somehow dragged into place using brute force / slave labour / ingenious lost ancient technologies (there’s still much debate about the logistics of how this was achieved given the extreme weight of each precision-carved block). Geologists have even worked out the specific sites from where the stone was excavated. You forgot the temple at Karnak. And the library of Alexandria. And the Falafel King drive thru in Cairo. Keep in mind that the images from New Horizons are nearly “full moon” like and so apparent shadows/highlights that you’d normally use to distinguish craters are not present. So you can’t really say it’s a crater … yet. Good point. That’s why I was careful to consider alternatives and use ” ” around “crater”. Name the craters after pornographic movie stars. My favorite is Dagmar. Want to marry him now that it is legal and our new way of life ! Clearly, we can see that Pluto is formed by clearing Minecraft blocks from the outer solar system. his own blogging snd related forums as well as social media networks. his self-concluded theory on Compound Balance Balls revealed in 2013.
assertion of the scientific power of the theory he relied on. is not spherical and announced vague explanations. informations in the days to come. and it was as follows . explanations, which said that it was due to the polar cover. a lot of opacity in explaining the photo taken. published to that end. After examining and analyzing the photos, Mr.
and its surface is fixed all the time with Pluto. in-depth study of the probabilities and on the applicable concepts. words can be used to search for these submissions. Hopefully we’ll see fresh images of Pluto in the very near future that will clear up whether or not it is irregular in shape. It is possible that the recent jagged-looking image was the result of image capture / processing artifacts (space is a difficult environment in which to capture good quality images – and often there are strange artifacts present in images resulting from the lossy nature of techniques used to capture and enhance the imagery). We’re only a few short weeks from the best view of Pluto we’ll likely have for many decades. Can someone help me out? 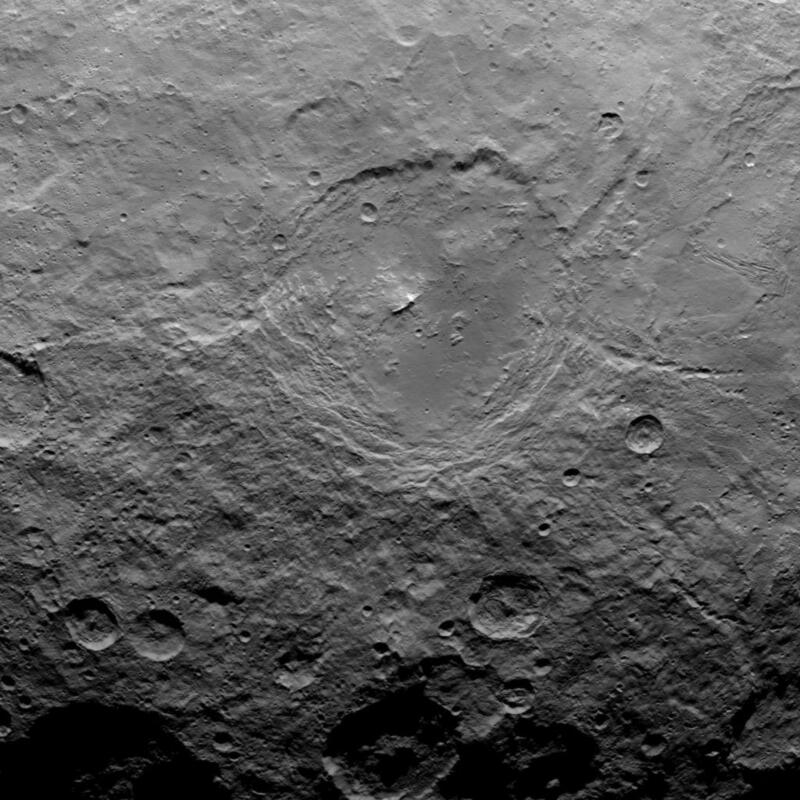 In the last picture of this story, Dawn has taken a very high resolution close up picture of a crater on Ceres. 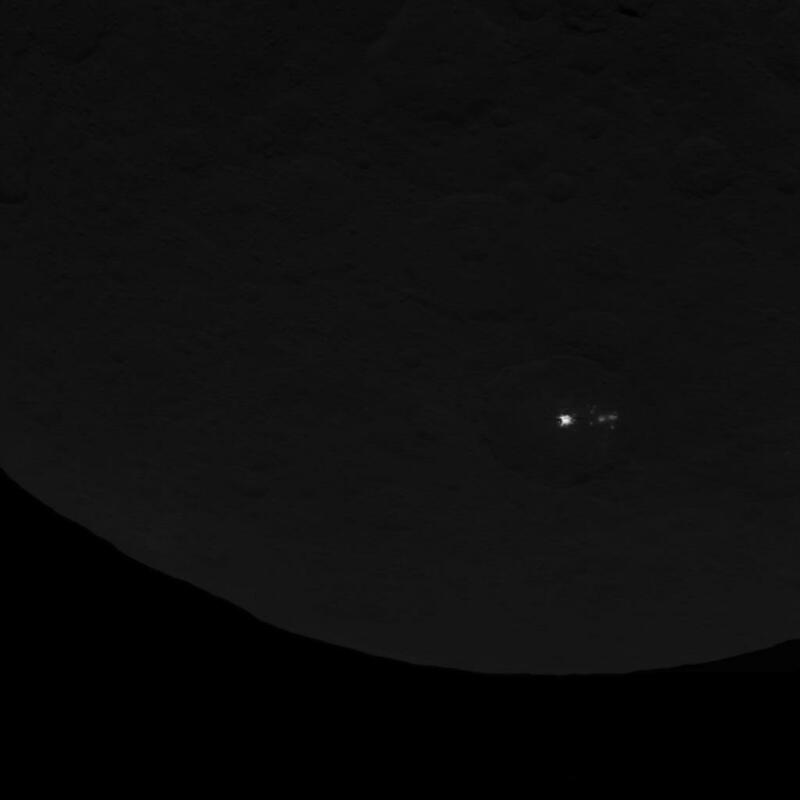 Yet when it comes to the “Bright Spots” of Ceres, the pictures are grainy and appear to show very little detail as well as being the furthest thing from a close up. 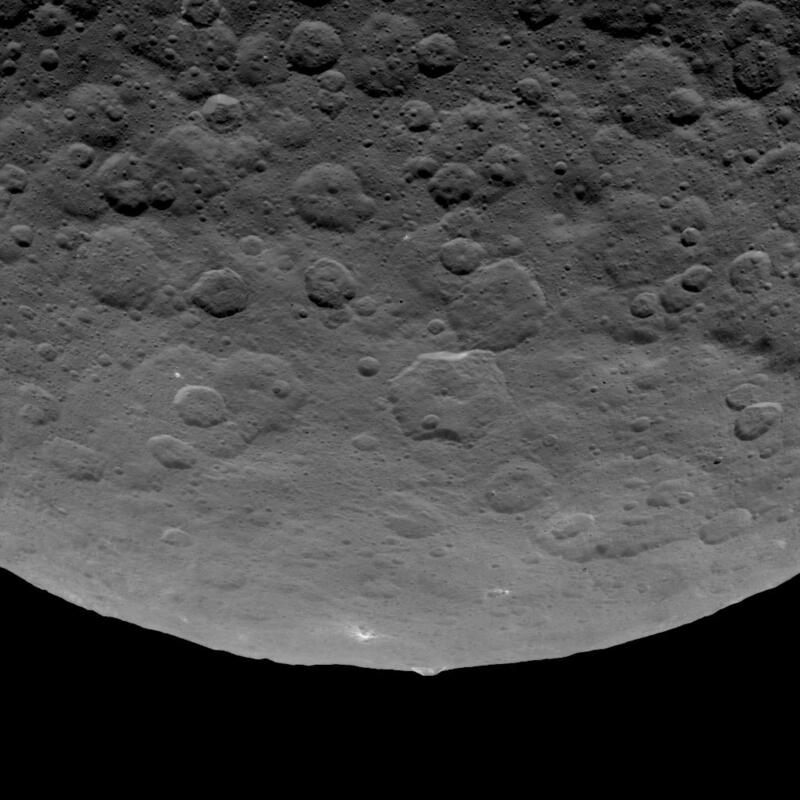 As a matter of fact, it looks like the zoom feature has been set to show the widest area possible of Ceres, when looking at the “Bright Spots”. Why the disparity in detail? Previous PostPrevious Who Were the First Men on the Moon?